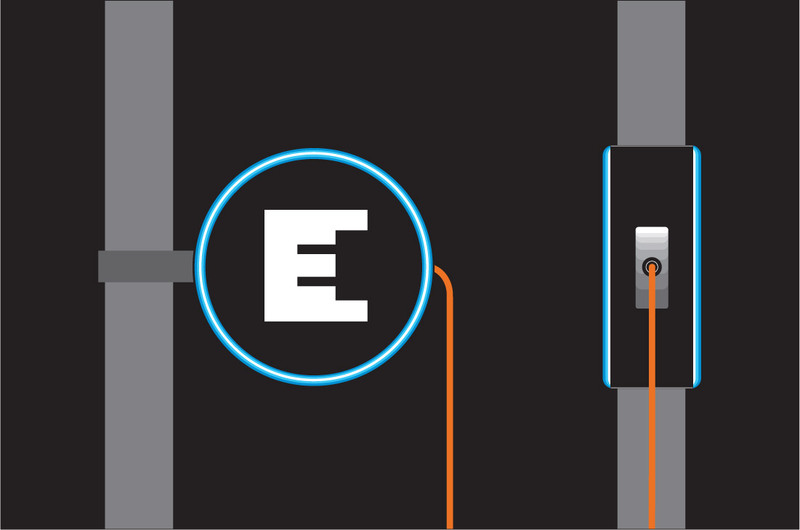 To lead the user from the Interstate to the charging installation itself, a successful EV infrastructure will need a visual cue that is clear, memorable, semantically engaging, and adaptable to both two and three-dimensional wayfinding applications. 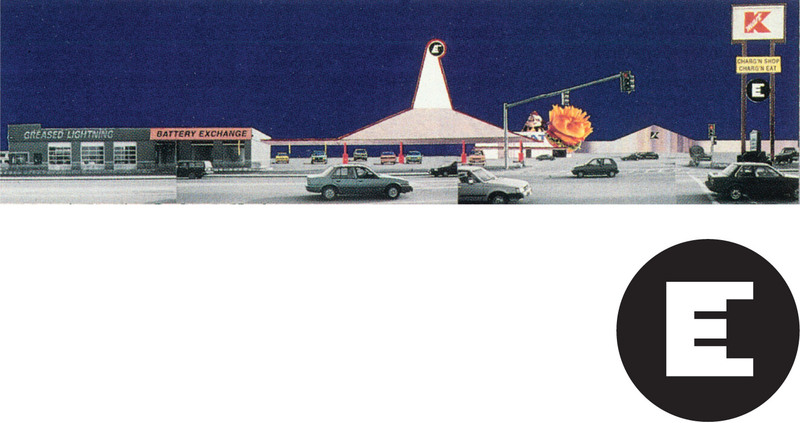 The prize-winning “Big E” icon, shown here, satisfies all of these criteria. Because of the icon’s recognition in the EVAC competition and the high level of interest it generated in post-competition media exposure, CGD is committed to cultivating and promoting the mark as a unifying symbol for electric infrastructure in all of its community-specific projects. 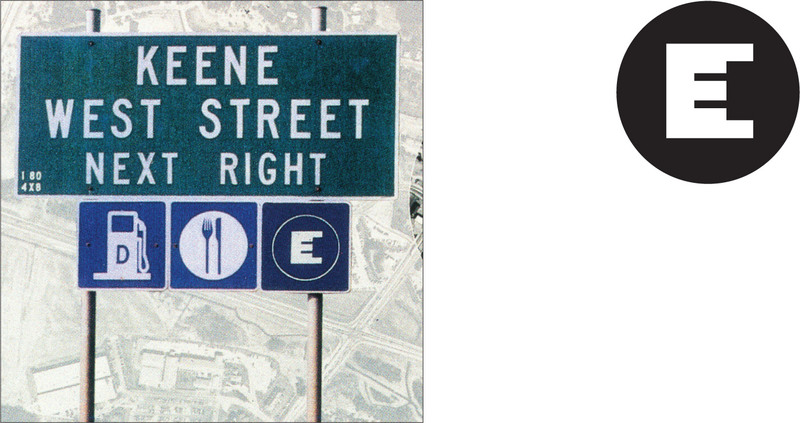 Over time, through increased diffusion of its presence at all levels of vehicular wayfinding, the public will recognize the “Big E” with the same immediacy as the international icons for Gas, Food, and Lodging.